As I’ve written a few hundred times before, there’s really no such thing as a “debate” in science, at least in the sense that two sides argue in front of the public, and then there is vote on who is “right” or “wrong.” All that matters in science is the quantity and quality of evidence, that’s it. Yes, sometimes scientists do argue about evidence, but that’s usually done in peer reviewed articles, notes, and other forms of communication. It is mostly civil. And eventually, the evidence drives to a consensus. Only to the public is there a delusion that there are debates on science. You might think there are debates about anthropogenic global warming, evolution, vaccines, HIV/AIDS, and GMO/biotechnology, but there really isn’t. Scientists aren’t sitting in bars across the world throwing bottles of beer at each other because everyone is divided between pro and anti-GMO. Because that’s just plainly not happening. When I read that 97% of climate scientists support the fact of global warming or that 99.4% of natural scientists agree with the fact of evolution, it implies that there’s some sort of vote. But if there were, it would be, what we call in US elections, a landslide. But in reality, scientists come to a consensus about broad principles over time, and that is based on published evidence, not logical fallacies or bad data. Scientific consensus isn’t based on personal preferences or political expediency. It is based on the agreement of experts about a scientific idea based almost exclusively on what is published. There isn’t a board of Scientific Consensus appointed by the world political leaders, it is done by the experts in the field. As an aside, it is important to note that there isn’t a distinct line between a consensus and a scientific theory. There is a continuum from an early consensus to an accepted scientific theory (which sits at the top of scientific knowledge). And sometimes it’s when a new idea is introduced, the actual consensus is against it, but enough data builds up over time to move some obscure crazy idea to a widely accepted scientific theory. Data matters. Not your opinion. Not a laughable political debate. Not cherry picking data to support your personal point of view. The consensus is developed by ignoring confirmation or observation bias, and seeing what the wealth of data says. The AAAS isn’t some mysterious organization inventing ideas about scientific issues. The American Association for the Advancement of Sciences is an international non-profit organization that has as its stated goals to promote cooperation among scientists, to defend scientific freedom, to encourage scientific responsibility, and to support scientific education and science outreach for the betterment of all humanity. It is the world’s largest and most prestigious general scientific society, and is the publisher of the well-known scientific journal Science. Although many of my readers will agree with both of those statements, ironically, there will be one group who will accept the former and ridicule the latter or vice versa. The thing is, the scientific basis of both are so solid, so overwhelming, so beyond reproach, that I have strokes when I read someone who has lambasted anti-GMO activists, based on the science, but then will attack anyone who supports human influenced climate change. I know it’s ridiculous to want people to be consistent about science, but I can hope. As I’ve said several times here, the only thing that matters is evidence. Not magic. Not your own cognitive bias. And the quantity of evidence is almost as important as the quality of evidence. Too many times, people who want their point of view, their beliefs, to be the consensus (as delusional as that is) will pick the pieces of data that supports their conclusion, instead of looking at all the data and developing a conclusion from that. Sometimes, it’s hard to determine the quality of evidence, so I wrote about a hierarchy of quality of evidence. At the bottom, anything written in anti-science publications, like Mike Adam‘s Natural News. But sticking with published science, there is a hierarchy there too. Too often, writers will take a single piece of primary research (that is data from one study, not repeated anywhere else) as if it is gospel. Moreover, much primary research is in very small populations for clinical studies, or are strictly animal data. I hate repeating myself, but science has discovered a cure for cancer thousands of times in mice. Only a microscopic portion of animal research ever becomes relevant clinically to humans. At the very top of the hierarchy of evidence are Systematic Reviews. The reason why “systematic reviews and meta-analyses are so important: we need to bring together all of the evidence on a question, not just cherry-pick the bits that we stumble upon, or intuitively like the look of.” (See Goldacre, Ben. Bad Pharma: How Drug Companies Mislead Doctors and Harm Patients, p. 18. Faber & Faber. Kindle Edition.) Systematic reviews and meta-analyses bring together data from numerous studies, rolling up the data into one giant analysis, hopefully eliminating bias and errors. A study of a medication that might have 3000 patients is good, but if a researcher then analyzes the 20 studies of the same drug, it now includes 60,000 patients. By doing so, one might uncover a rare adverse effect in a specific group that should be known by prescribing physicians. Or one can uncover a specific disease improvement using a different dose. Systematic reviews are incredibly powerful tools, as long as the study is unbiased and includes data points from all but really poorly done studies. The Cochrane Collaboration is world renowned for their systematic reviews, but almost every top-notch scientific journal publishes those reviews, especially in controversial or topical research areas. And systematic reviews become the basis of the scientific consensus. The AAAS did not issue their statement about the consensus of global warming or GMO’s because of a public debate with politicians, deniers, and some guys in the pub drinking beer. No, they based it on published evidence that represents the totality of knowledge in the field. There have been more than 2,000 studies, including over 100 that form the basis of scientific consensus, that have documented that GMO foodstuffs do not pose a threat to human health, the environment or other animals. Genetically modified foods are as safe or safer than conventional or organic foods. Despite that high quality evidence, despite the lack of any plausible physiological hypothesis that would explain how a GMO food could possibly effect a human being or environment, and despite the lack of real evidence that GMOs might cause harm (unless you think that Séralini’s retracted article counts for something), there remains significant concern in the public about GMO foods. Recently, an article was published in the Journal of Animal Science, that reviewed the impact of genetically engineered (GMO) feedstuffs on livestock. 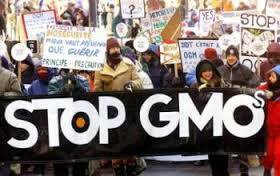 Given that livestock consume 70-90% of genetically engineered foods, it’s like a giant clinical trial of GMO foods. Geneticist Alison Van Eenennaam and research assistant Amy E. Young, both from the University of California-Davis, systematically analyzed nearly 29 years of livestock productivity and health data prior to and after the introduction of genetically engineered animal feed. Several recent comprehensive reviews from various authors summarize the results of food-producing animal feeding studies with the current generation of GE crops. Studies have been conducted with a variety of food-producing animals including sheep, goats, pigs, chickens, quail, cattle, water buffalo, rabbits and fish fed different GE crop varieties. The results have consistently revealed that the performance and health of GE-fed animals were comparable with those fed near isogenic non-GE lines and commercial varieties (emphasis mine). Now this study isn’t perfect (but only in the world of false dichotomy of anti-science is evidence supposed to be “perfect”). The study is observational, meaning that there was no control for confounding factors, such as location, or type of feed, or anything. But, and this is a very important but, when n=100 billion, the data and statistics become so powerful, that it overwhelms potential weaknesses of the study. For example, it would be a wonderful world, if science could study a new medication by enrolling a billion patients (ignoring expense and time). Yes, data becomes stronger with size, and 100 billion is approaching infinity from a statistical point of view. We now have a large set of data, both experimental and observational, showing that genetically modified feed is safe and nutritionally equivalent to non-GMO feed. There does not appear to be any health risk to the animals, and it is even less likely that there could be any health effect on humans who eat those animals. In order to maintain the position that GMOs are not adequately tested, or that they are harmful or risky, you have to either highly selectively cherry pick a few outliers of low scientific quality, or you have to simply deny the science. There is as strong a scientific consensus that GMOs do not present any novel health risk, that those in current use are safe, and that they pose no health risk to animals or humans, as there is a consensus for the safety and efficacy of vaccines or that humans are contributing significantly to global warming. There’s really nothing else to add. The scientific consensus says that GMOs are safe. Only a few cherry-picked published outliers contradict this consensus. And those are awful studies of poor quality. 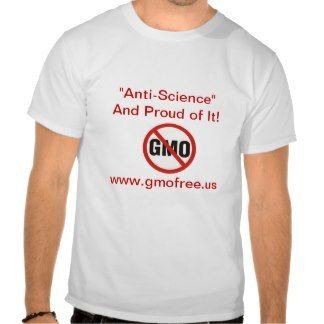 Denying the safety of GMO’s use the same logical fallacies and poor science as global warming deniers. The exact same. Van Eenennaam AL, Young AE. Prevalence and impacts of genetically engineered feedstuffs on livestock populations. J Anim Sci. 2014 Sep 2. pii: jas.2014-8124. [Epub ahead of print] PubMed PMID: 25184846.